The affordable, “authentic” timepiece for tourists in Switzerland. It’s not uncommon for watch brands to outsource cases, movements, crystals, straps, etc. to assemble at their base location, and then stamp their name on the dial and call it their own. Not all companies can build from scratch and even major luxury brands use ETA movements and various outsourced components. 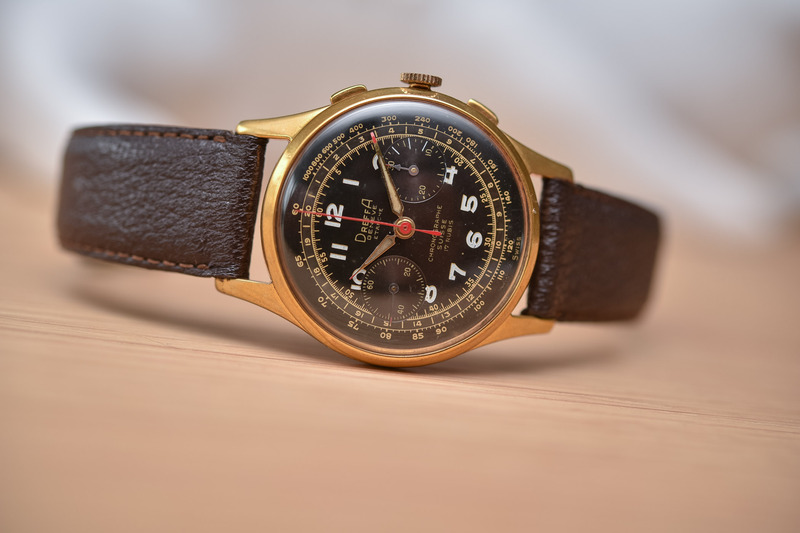 Back in the 1940s, a brand known as Chronographe Suisse (Swiss Chronograph) provided inexpensive “generic” chronograph watches and parts for brands to adopt and add their name. Even local jewellers branded these watches as their own. 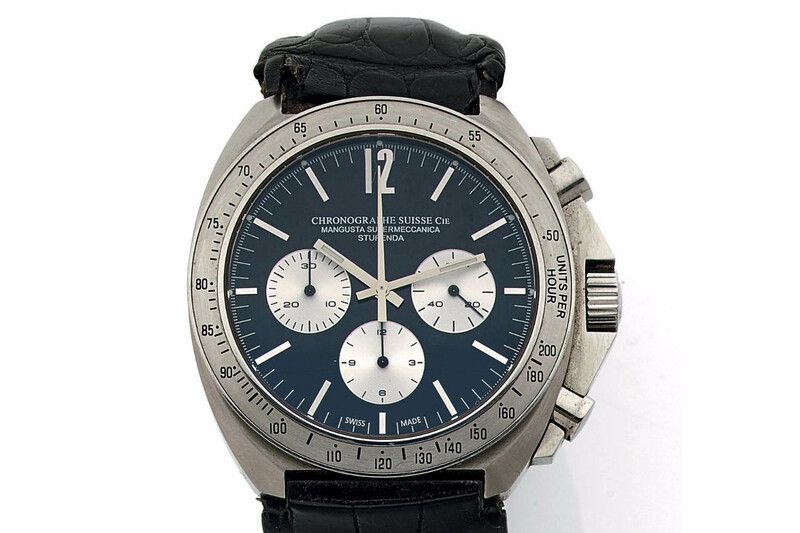 It sold watches with in-house “Chronographe Suisse” branding as well, adding some confusion into the mix. Popular in the European market as (relatively) cheap Swiss watches for tourists, Chronographe Suisse became a significant revenue source for small, often forgettable brands and many of these watches are collectables today. 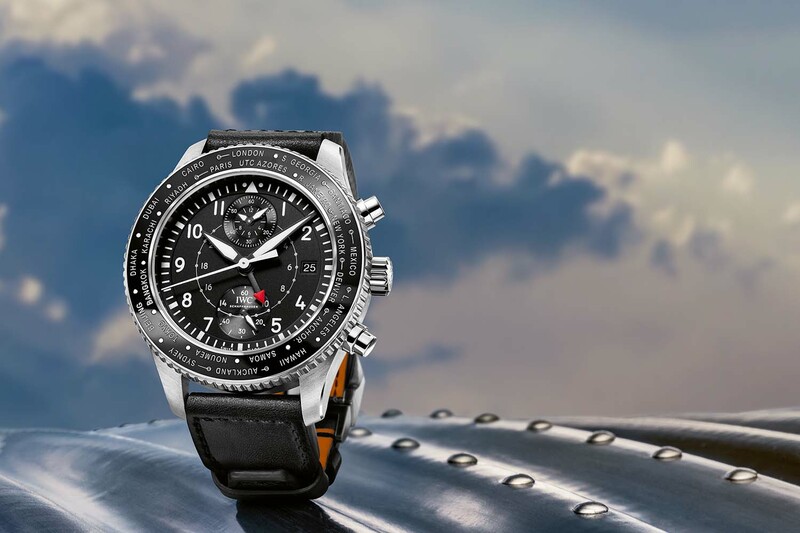 At its peak, over 500 workshops were producing watches with supplies from Chronographe Suisse. This successful business model thrived from the 1940s to the 1970s, before the quartz revolution wreaked havoc on the industry overall. Let’s take a closer look at this somewhat forgotten chapter of twentieth-century watch history. It’s difficult to really pin down the roots of Chronographe Suisse. It often reminds me of companies like Seiko (relatively speaking, of course), which provides movements and parts to other brands, such as the Seiko calibre NH35A used by multiple micro brands. Those brands don’t have Seiko on their dials and the same movement powers many of Seiko’s own pieces. That’s not an entirely accurate comparison, however, as Chronographe Suisse didn’t produce in-house movements. Most of its watches, whether self-branded or adopted by others, had Swiss Venus, Landeron or Valjoux movements. 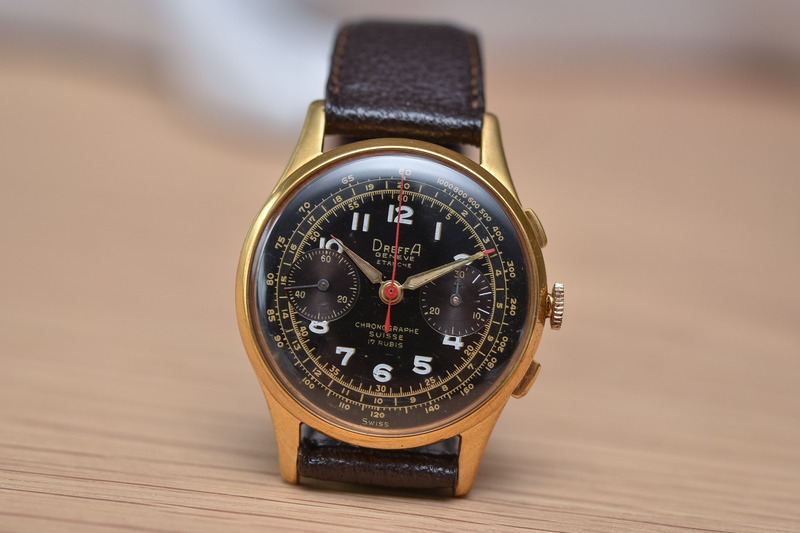 These companies provided high-quality, reliable but relatively inexpensive movements – in the same vein as Seiko or ETA today (understanding that Seiko isn’t Swiss, but you get the idea). 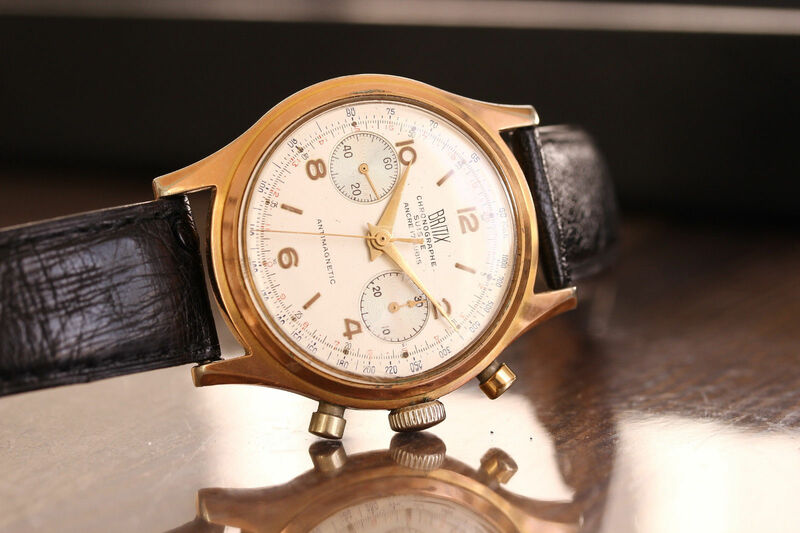 Many of its chronographs were stylish and high-end in appearance, using steel or thin gold-plated cases (in some cases solid 14k or 18k gold) and fancy dials. The perfect enticement for a tourist seeking an affordable Swiss timepiece. Solid gold cases were thin to reduce material costs and corners were often cut to increase production, but they were nevertheless popular mementos. They weren’t all cheap, however, with some higher-end models selling at established brand prices. The Landeron 48, the most commonly used movement in Chronographe Suisse watches. 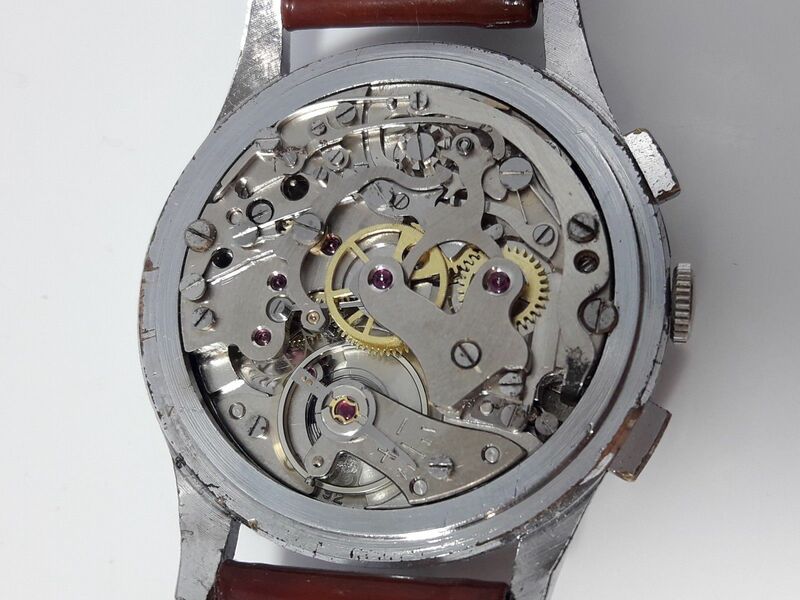 Commonly used movements for Chronographe Suisse included the cam-operated Landeron Calibre 48 (over 3.5 million were produced), which featured a conventional two-button layout after the three-button Calibre 47. It was a bit peculiar as the pusher at 2 o’clock started the seconds, while the one at 4 o’clock both stopped and reset it. It was a hand-wound movement with 17 jewels, 18,000vph (2.5Hz) and a 42-hour power reserve. 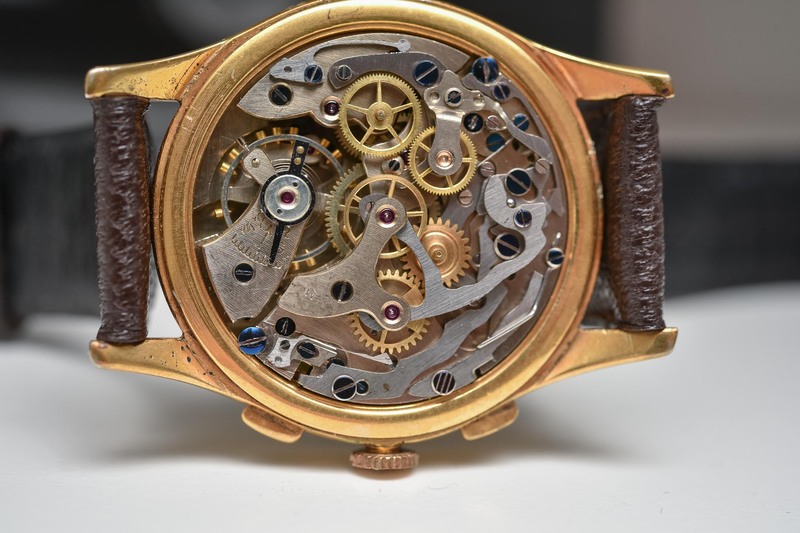 Landeron goes back to 1873, but it wasn’t until 1924 that the company produced chronograph movements (and 1925 when it went by the name, Landeron). The Landeron 48 was reliable and rather modern (back in the days) as operated by a cam and not a column-wheel). The Venus Calibre 170 was another common Swiss movement for Chronographe Suisse watches. Established in 1923, Venus produced its first chronograph movement in 1933, the Calibre 103. Its column-wheel chronograph movements were lauded as among the best ever produced, including the Calibre 170, a hand-wound movement with 17 jewels, 18,000vph (2.5Hz) and a 40-hour power reserve. Venus also produced self-branded watches into the 1970’s. Movements from Valjoux, such as the Valjoux 92, were also seen in Chronographe Suisse watches. 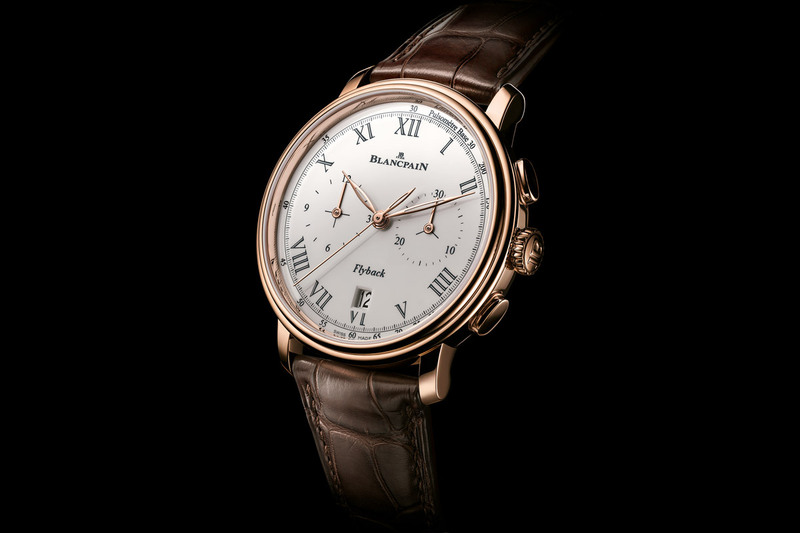 Similar to the others, the Swiss hand-wound movement had 17 jewels, 18,000vph (2.5Hz) and a 39-hour power reserve. Landeron, Venus and Valjoux were all popular movement manufacturers that many high-end brands utilized, and they helped establish Chronographe Suisse’s reputation as a quality yet affordable Swiss alternative to established brands. 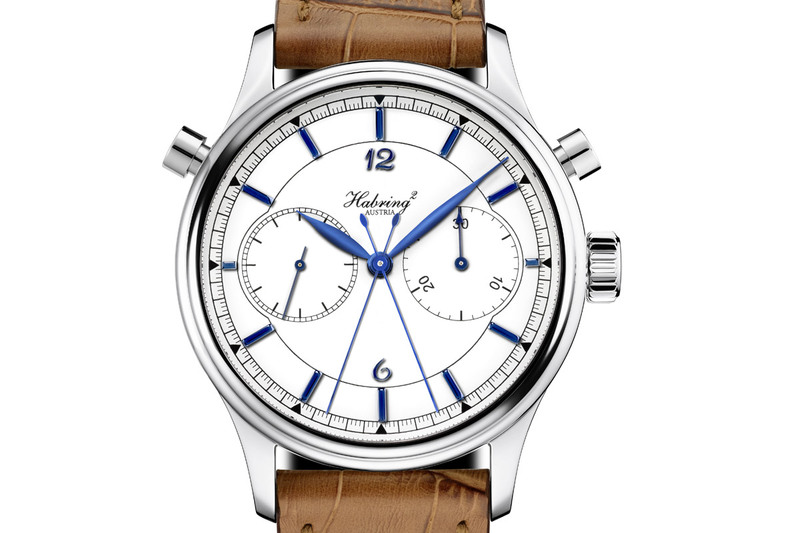 You can find a lot of Chronographe Suisse watches out there with obscure names on the dial from long-forgotten brands. Dreffa is one of the better-known companies (not that it’s widely recognized) that branded Chronographe Suisse dials with its name. 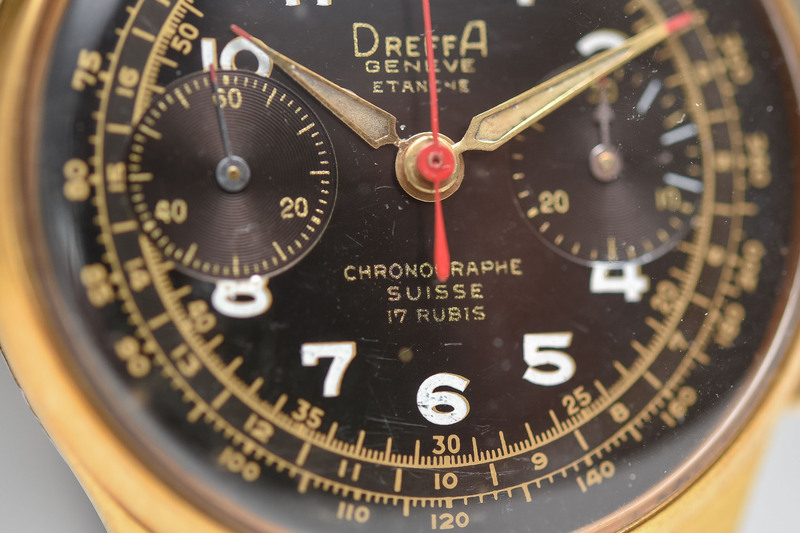 Established in 1874 in Geneva, Switzerland by Armand Dreyffus, Dreffa became a luxury watch brand that pushed itself into the US market in the 1940s under the name, Dreffa Geneve. Many of its models were Chronographe Suisse pieces, often with both company names on the dial (Dreffa Geneve and Chronographe Suisse). Jacques Maguin acquired the Dreffa brand in 1985 and modified the logo, and it was acquired again in 2014 by TGX Holdings, with production continuing in both Geneva and Glashütte. 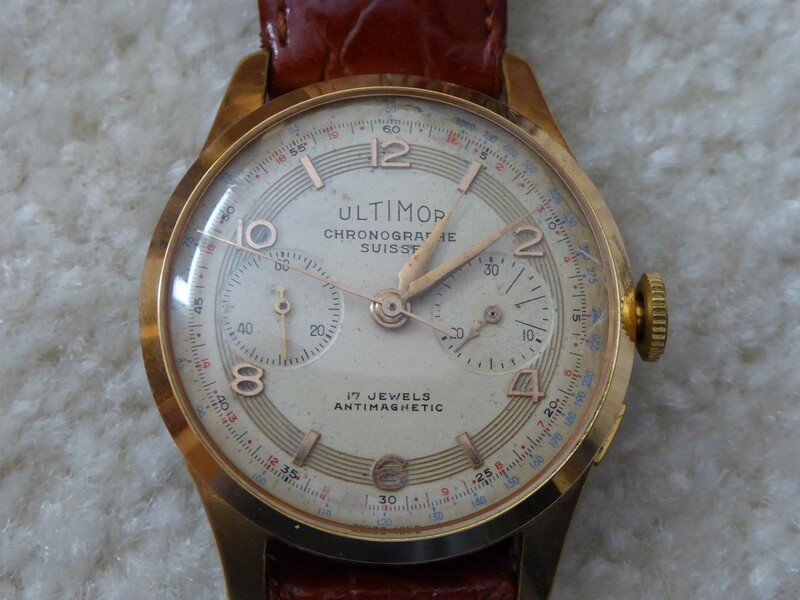 Other brands like Ultimor and Olympic appeared on Chronographe Suisse watches, only to disappear as the quartz crisis decimated smaller brands. 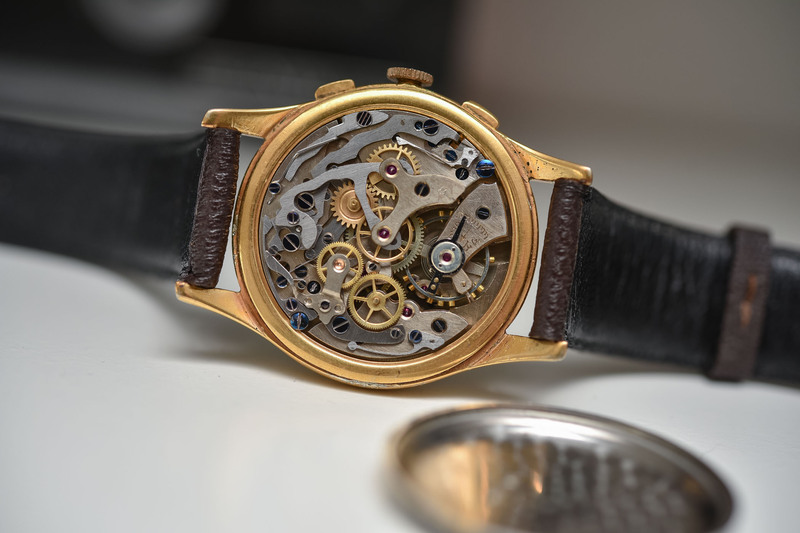 A large percentage of these companies existed solely because of the Chronographe Suisse supply, which allowed assembly and simple dial modifications to be the major requirements for the existence of a watch brand. Not a bad set-up for motivated entrepreneurs. 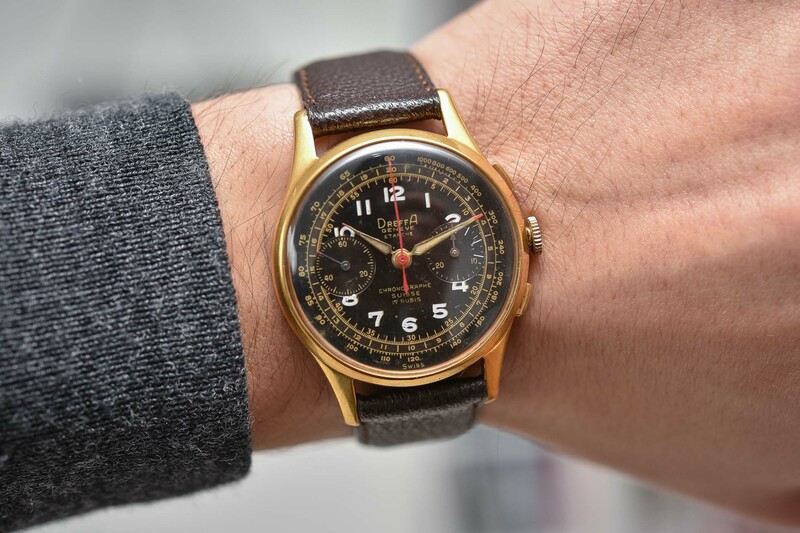 Watches today, whether branded with Chronographe Suisse or a name you’ve never heard of, are popular with first-time vintage watch buyers and even seasoned collectors. 18k gold models can sell for over EUR 3,000, although it’s not hard to find gold (and especially gold-plated) models for well under EUR 2,000. 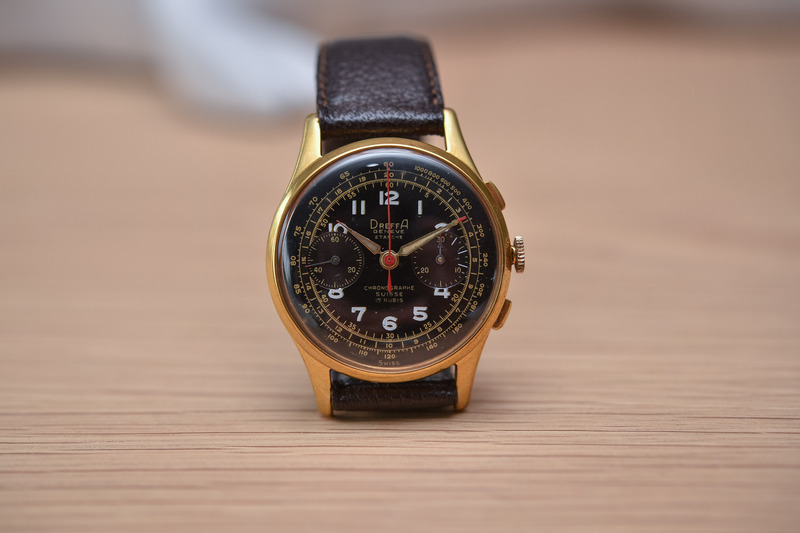 I found a gold, 37mm model from the 1950s in good cosmetic and mechanical condition for under EUR 1,000. It has a Landeron Calibre 48 and two sub-dials at 3 and 6 o’clock. 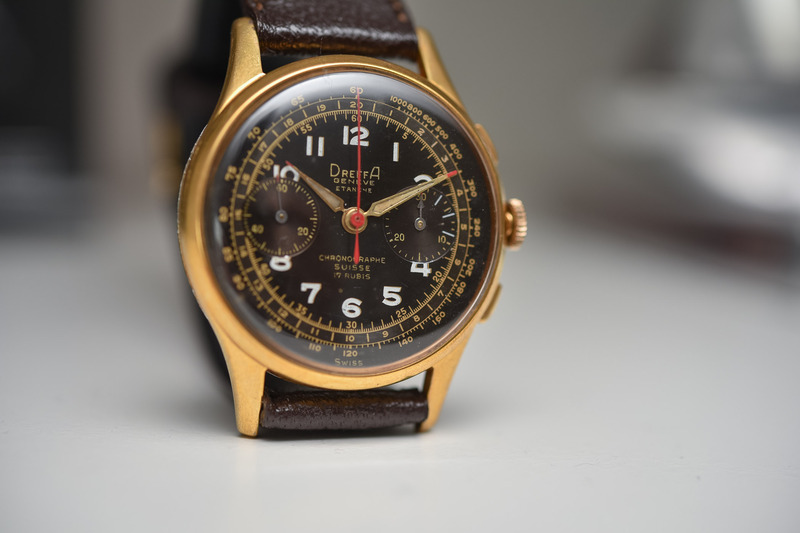 Not bad for a vintage Swiss chronograph. The present Dreffa is owned by one of our editors and was bought for less than EUR 500 on a forum. Keep in mind that the gold case is unusually thin with hollow lugs, so you’re getting less material and robustness than what more established brands offered. The Landeron movement can also be expensive to service. Many steel Chronographe Suisse watches can be found for under EUR 500, so you don’t have to spend a fortune if you’re intrigued by the brand. My advice, especially if spending north of EUR 1,000, is to obtain a recent service history and clear pictures of the movement (if buying online) before committing. A small revival of Chronograph Suisse watches happened around 2010 with the Chronographe Suisse Mangusta Supermeccanica Stupenda (sounds Italian, but it’s Swiss). Various offshoots of this model were produced and it’s a modern throwback to the mid-20th century. Unlike the fashion-focused originals with acrylic crystals and smallish cases, the new watches have sapphire crystals, heavy steel cases around 45mm in diameter and water-resistance up to 200m. Movements in these models (called Calibre 26 automatics) are likely ETA 2894-2 automatic calibres with 37 jewels, 28,800vph (4Hz) and a 42-hour power reserve. Prices started at USD 5,000 and topped out at around USD 8,000. They can be found today for around USD 3,000 or less for clean examples. 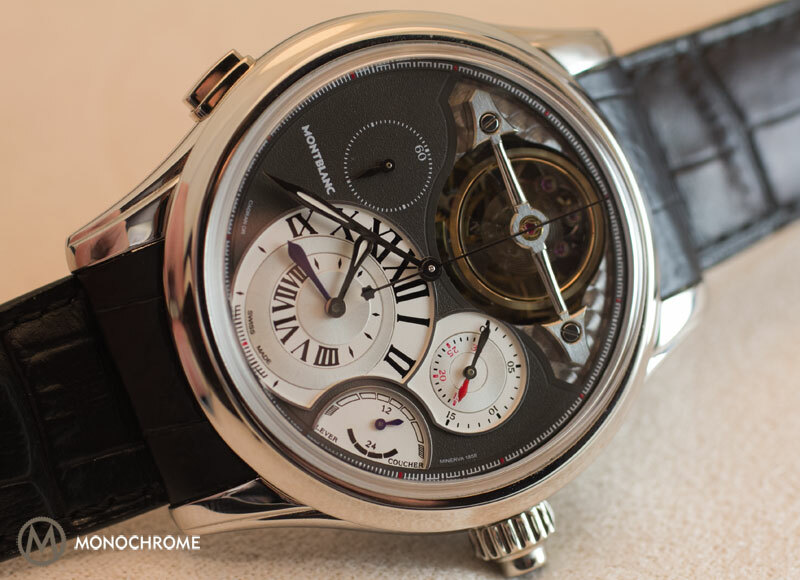 Modern watch with the “Chronographe Suisse” mention on the dial (source: Drouot). Choosing between a “new” Chronograph Suisse or vintage counterpart is like choosing between a 1955 Volkswagen Beetle or a 2010 model. Very different concepts for different people. 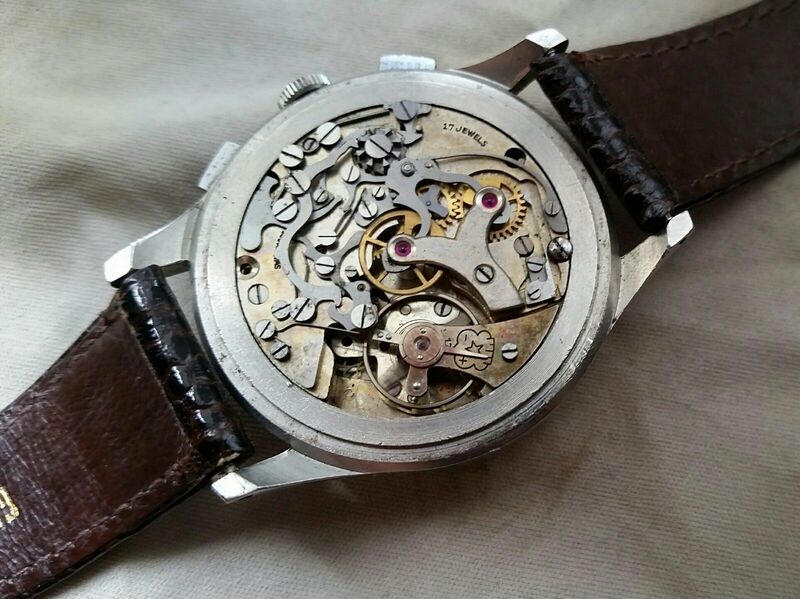 I’d personally choose a vintage Chronographe Suisse with a Landeron Calibre 48 in steel. I find that combination the most interesting and nice examples won’t break the bank. Whether or not I choose an obscure brand on the dial or simply “Chronographe Suisse” would depend entirely on how aesthetically pleasing the watch is. Actual branding on the dial is insignificant to me (they’re all Chronographe Suisse pieces), although I know there are collectors who would wholeheartedly disagree. 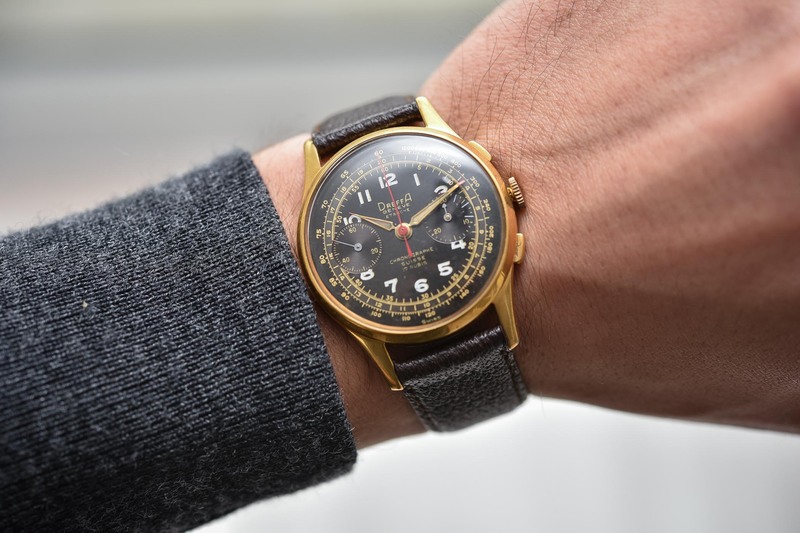 The few decades of Chronographe Suisse aren’t a well-known part of horological history, especially in North America, but the thousands upon thousands of watches produced not only give an interesting insight into pre-quartz watchmaking but provide vintage watch collectors with something affordable to acquire. 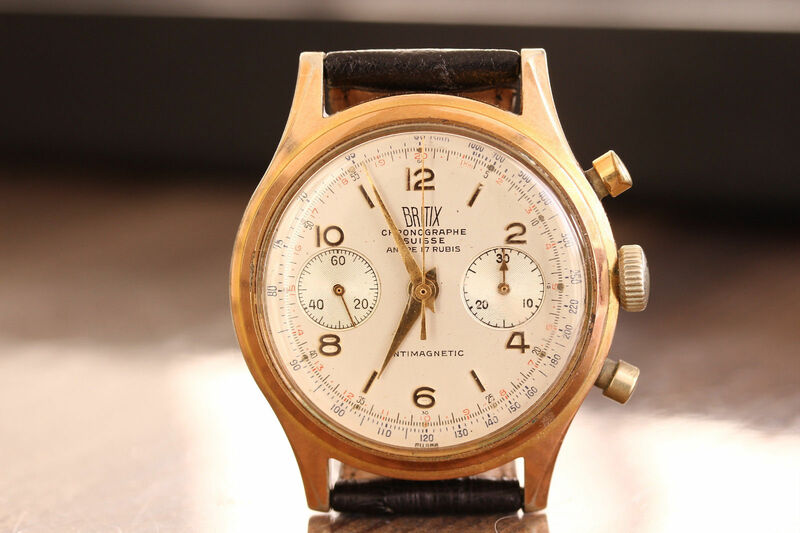 Note: photos of the Britix and Ultimor watches, as well as the Venus and Valjoux movements, have been found on eBay (where you can find dozens of Chronographe Suisse watches). I found a working, 40mm “VERNETA” 1940s Swiss chronograph in the junk box at a brocante in Bordeaux last Saturday. Cost me €3. Fabulous looking beast! Talking about reliability and availability offre parts What is thé best choice between Landeron Venus and Valjoux ?